The 340H Series offers high efficiency Ultra-Low NOx condensing technology allowing for the use of 3” PVC venting and has 0” clearance to combustibles. Utilizing HRS35 copper alloy for the heat exchanger tubing. Remote control included as a standard feature. Indoor models are certified up to 10,100 ft. altitude. Provides a variety of installation options: indoor, outdoor and direct vent. 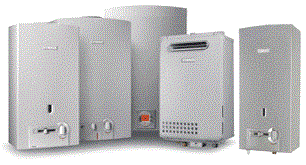 Complies with Ultra-Low NOx regulations and meets the energy efficiency requirements of ASHRAE 90.1b-1992. 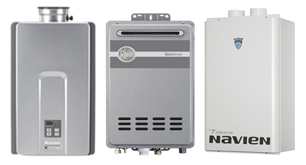 The ATI-240H-N tankless water heater uses up to 160,000 BTUs of natural gas to deliver a max flow rate of 6.6 GPM. 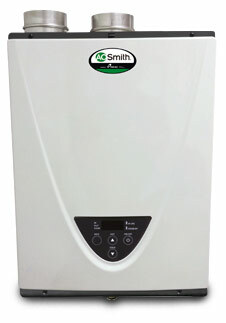 It utilizes condensing technology to achieve an Energy Factor of 0.95, and is ENERGY STAR® qualified. This model meets Ultra-Low NOx emission requirements, and comes with a 15-year limited warranty.